NEW CANAAN — As weather reports continue to come in for the “bomb cyclone” hitting parts of the south and descending on the northeast, New Canaan schools and Town Hall have closed on Jan. 4. Metro North reported just after 2 p.m. that New Canaan Branch service was suspended because of a tree down in the vicinity of the Talmadge Hill Station. 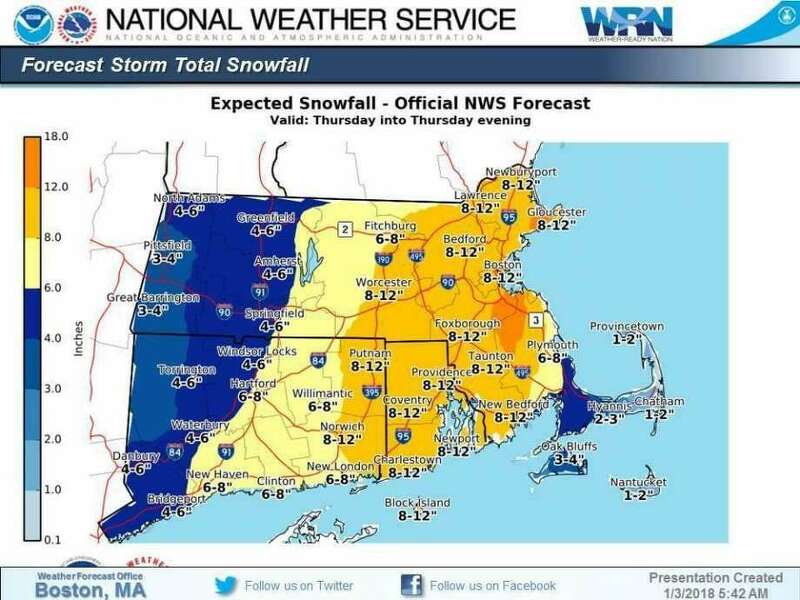 A winter storm watch is is in effect for Fairfield County from 1 a.m. Thursday to midnight Friday for southwest Connecticut.